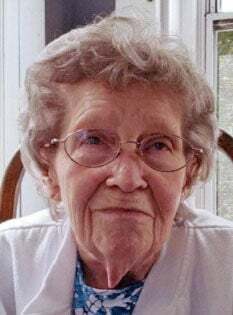 HARTFORD — Ruth “Midge” Beagle, 87, died at home, surrounded by family, on Tuesday, Feb. 5, 2019. She was born on July 13, 1931 in Lake Luzerne. She was the daughter of the late Howard and Ethel Luce Dingmon. Many years ago, Ruth worked as a tacker at the former Van Raalte Mill in Saratoga Springs. She married Robert “Bob” Beagle on Jan. 6, 1952. Ruth’s passion was her family. She loved nothing more than to have all her loved ones together for large family dinners, especially during the holidays. With her husband as Santa, Ruth dressed as Mrs. Santa for many years, making magical Christmas memories for so many. Ruth loved music; a few of her favorites were Daniel O’Donnell, Anne Murray and Nat King Cole. She loved to read, and in her last years would often read a book in a day. She was predeceased by her siblings, Fran, Howard “Bud,” John, George “Skip,” Donald, Doris “Dodie,” Willis “Mike,” Wellington and Charles; her infant daughter, Darlene Beagle; her husband, Robert L. Beagle, who died on July 6, 2010; and her granddaughter, Brandy Palmer, who died Jan. 20, 2019. Survivors include her children, Debbie (John) Abbott, Bonnie Hammond and her companion, Tom Fleischer, David (Vicki) Beagle, Mindy (Lenny) Clear, Tammy (Ron) Farr, Kim Fleischer, Robert “Bobby” Beagle and his companion, Judy, and Stacie (Rich) Blomberg; grandchildren, Jill, Melanie, Jeremy, Julie, Heather, Eric, Jason, Kristin, Lindsay, Sean, Jessica, Brandon, Ashley, Tommy, Michele, Nick and Cassidy (all favorites); 28 great grandchildren (favorites); several favorite nieces and nephews; and Cathy Gonzalez (who, in Ruth’s words, she loved as a daughter) and Cathy’s husband, Eddie. Calling hours will be from noon to 2 p.m. Sunday, Feb. 10, followed by services at 2 p.m. at Wilton Funeral Home, 395 Ballard Road, Wilton. Burial will be in the spring at Maplewood Cemetery. The family suggests memorials in Ruth’s name be made to High Peaks Hospice & Palliative Care, 79 Glenwood Ave., 2nd Floor, Queensbury, NY 12804. For directions or to light a candle visit us at www.mevecfuneralhome.com.